Experience powerful performance in a very compact design! 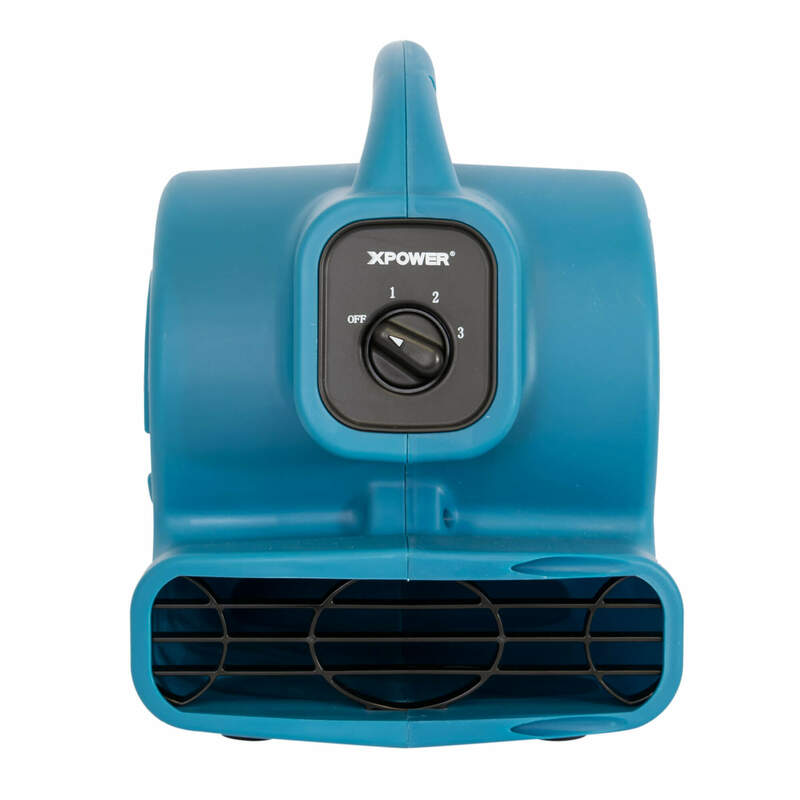 The XPOWER 100 Series offers quiet operation with efficiency, drawing minimum power at highest speed. 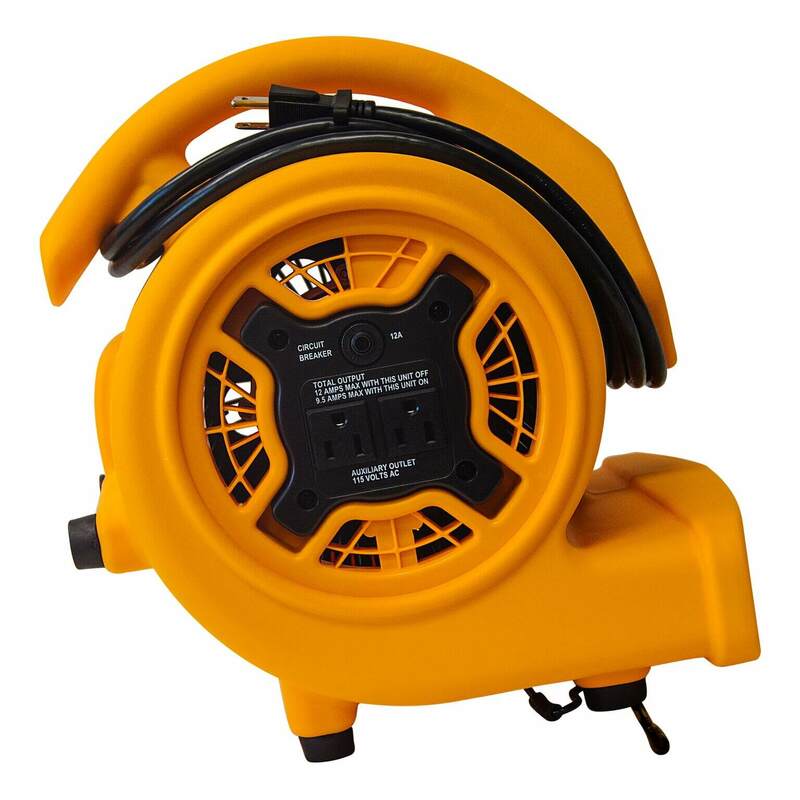 These multipurpose air movers are a household must have! Dry and ventilate like a pro while being able to fit into tight spaces like under cabinets and crawl spaces. 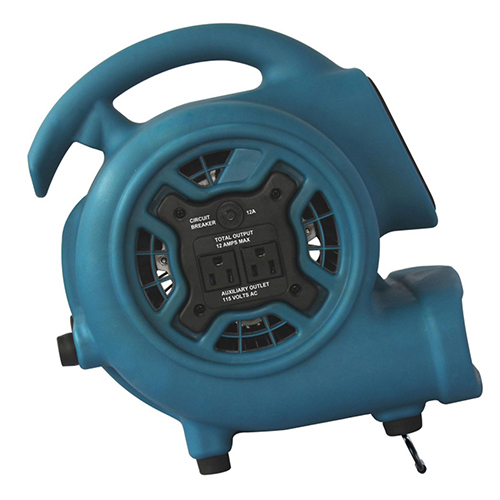 The XPOWER P-200AT and P-230AT Mini Air Movers deliver on portability, power and versatility. Perfect for tight spaces, they do the job quickly and effectively. 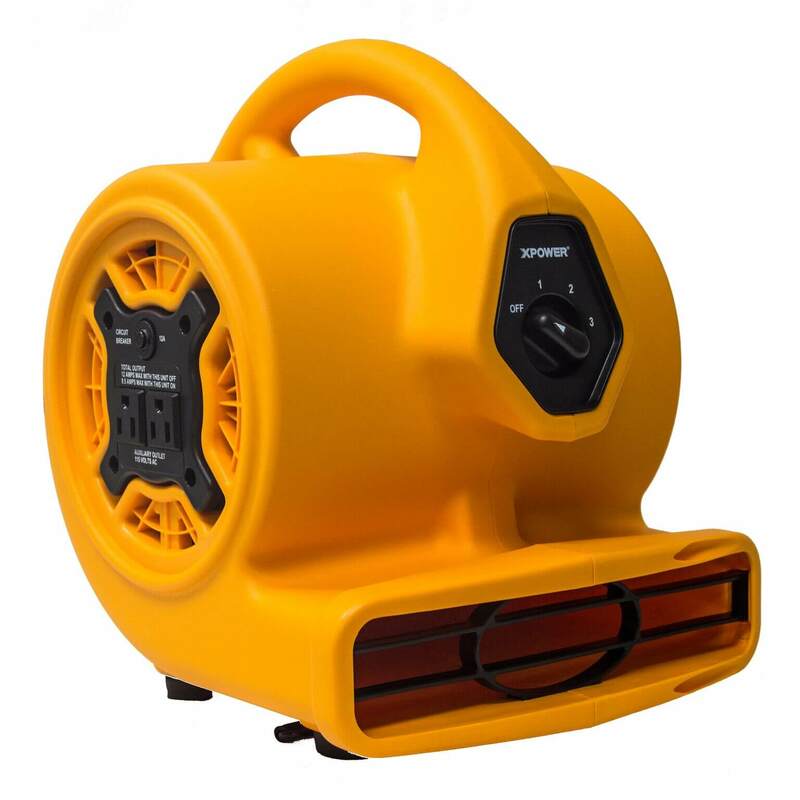 The daisy chain feature allows connecting multiple units without an extension cord, while a built-in 3-hour timer saves time and energy. 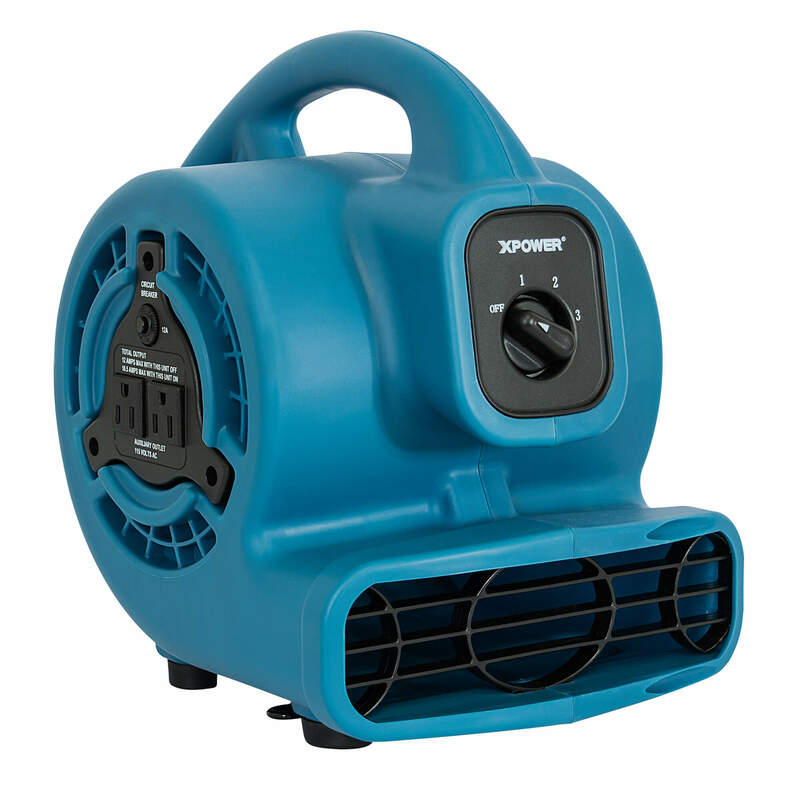 For ventilating living spaces, the XPOWER Mini Air Mover’s unique design makes it a go-to solution as a high velocity fan for air circulation, as well as multiple garage applications. 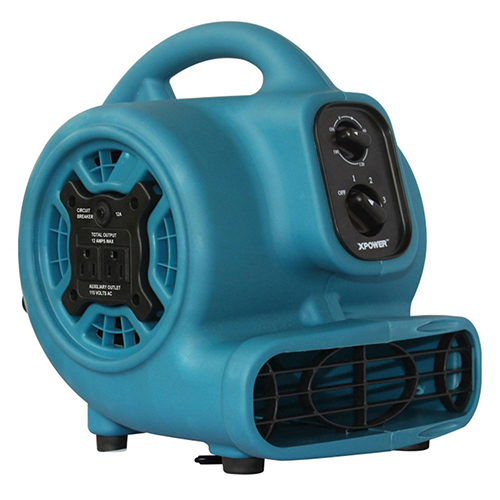 Its unique design allows it to focus air in 4 positions from zero to 90 degrees, while its low power draw of 1.5 to 2.3A makes it the most efficient air mover in its class.